The following applied to winter bookings, defined as checking in between 1stDecember and 31st March. Cancellation between30 and 15 days before check in 30 % of booking total. Cancellation between14 and 7 days before check in 50 % of booking total. Cancellation 6 day or less before check in 100 %of booking total. Cancellation between14 and 7 days before check in 30 % of booking total. Cancellation between6 and 2 days before check in 50 % of booking total. Cancellation 1 dayor less before check in 100 % of booking total. 1-1.Preliminary reservations areaccepted via HP or Telephone. 1-2. All offers, prices, terms and conditions are subject tochange or withdrawal without notice prior to a confirmation being issued. 1-3. The bookings details are as perthe Confirmation. Any change to the number of and /or the ages of guests may changethe booking total amount. 1-4. All prices are in Japanese Yen and include 8% Japaneseconsumption tax. 1-5. To confirm the reservation in winterbetween December 1st and March 31st a 20% non-refundable deposit is required within 15 days after the booking date. 2-1.Arrival and departure times must be provided to us via Email or Telephone at least 5 days before the arrival date. We provide free pick up anddrop off service to Happo bus terminal or Hakuba station. 2-3.Check-out time is 10:00am. All luggage and personal items must be removed fromthe room(s) at time of check-out. 2-4. Upon check-in we require a copy of guest credit carddetails to be taken for security/bond purposes. 2-5. Japanese law requires that we obtain all guest’s full names, nationalities, passport numbers, postal addresses and occupations at check in. 4-1 6 of Semi-Double size beds 122X205 and 1 of Wall bed double size 140X195. Please ask to use wall bed in advance. 4-2 2 set of Futon are available upon request. 5-1-1 Daily: Trash Out　Fresh towels provided. 5-1-2 Fresh bed linen once every 4 days and room / Bath/ Kitchen cleaning for stays over 4 nights or longer. 6-1.You accept responsibility for damage to the room or hotel common areas, fittings, furniture, keys and other chattels caused during your occupation,including any consequential losses incurred. 6-2. 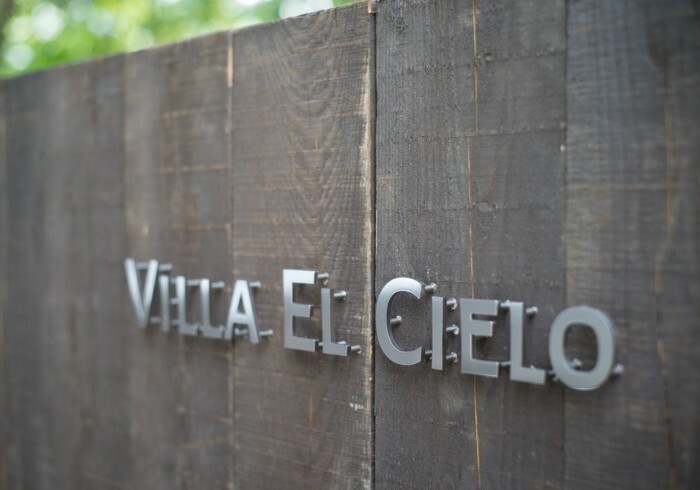 In the event where property or amenity has been damaged or lost the guest will pay Villa El Cielo in full for any damage caused and replacement costs. 6-3. A valid credit card is required as a security deposit and you authorize us to charge all fees and charges properly chargeable under this agreement to that credit card. 7-1. Villa El Cielo a strict NO SMOKING POLICY within its buildings. 7-2. If guest smoke in the house and continue to smoke after being requested to stop we may evict the group or any individual from the condominium without any refund. 7-3. If anyone in the group has smokedi n the house they will be charged additional cleaning costs and costs incurred in compensating later guests who are affected by the smell of smoking or the owner of the room for bookings that need to be relocated to a different room. 7-4. Villa El Cielo a strict NO PETS POLICY within its buildings. Under no circumstances will pets be permitted to stay. 8-1. Villa El Cielo will not be liable for the custody of the vehicle of the Guest when the Guest utilizes the parking lot within the premises of the Hotel, as it shall be regarded that the simply offers the space for parking. However, We will compensate the Guest for damage caused through intent or negligence on the part of the Hotel in regards to the management of the parking lot. 9-1. Villa El Cielo (The Hakuba Company K.K) operates wholly in Japan and the law of Japan applies to all services provided. Where services are provided by agents and principals the Bookings are made subject to the terms and conditions of the agent or principal. 9-9-2. Subject to Japanese law Villa El Cielo (The Hakuba Company K.K), and principals are not liable for any loss, damage, delay, consequential loss, injury or death resulting from any act, alteration or omission by The Hakuba Company K.K., or principals, any third party, act of god or other circumstances. 9-3. Villa El Cielo cannot under any circumstances be held responsible for snow conditions. No booking can be cancelled, altered or amended on the basis of weather conditions. 9-4. We expect guests protect themselves against all risks of travel, including the possibility of having to cancel a holiday or alter travel dates, with appropriate Travel Insurance which they arrange at the time they pay their Deposit. Villa El Cielo was Completed in June 2018, just 150m from Hakuba Happo One Sakka Quad lift. A luxury 263sqm 3-bedroom villa with large living room, kitchen and dining space and a family room for up to 12 guests. The residence is located in the Wadano woods, easy to access restaurants in Wadano area. We provide free pick up and drop off service to Happo bus terminal or Hakuba station upon request.